Welcome back! In our last blog post, we began discussing the possibilities of your Sacramento area garage. By sharing what should absolutely not be in your garage. Today, we are going to give you some ideas for what purpose your space could serve you. Let’s get started! What Will Your Garage Be? Your garage can be anything you want it to be. However, it does make a versatile storage space. If you plan to use your garage for storage, consider what you want to store there. Instead of storing a little bit of this and that, consider dedicating it to certain items such as home maintenance tools or camping gear. If you wish to store multiple types of items, consider using designated quadrants for particular items, i.e. store all of your camping gear in plastic bins on overhead racks and your car tools in garage cabinets near where you park your car. When you utilize all of the storage spaces in your garage well, your garage can actually hold a lot. Your garage doesn’t have to be a place just for storage. It can also be a workshop. Use it for woodworking, place to tinker on your car, clocks, or other mechanical items, or the space where you take care of the items on your honey-do list. Advanced Garage has transformed many garages into the perfect workshop area through installing a customized workbench with surrounding custom garage cabinets, a peg board, and garage floor. For many of us, our hobbies are important to us and we look forward to doing them. However, we tend to enjoy our hobbies in the corners of our main room, spare area of the dining table, or other small spaces. What if, instead, we dedicated an entire room to our hobby? The garage isn’t the perfect space for all hobbies, but it could be the perfect place for your hobby. Utilize custom garage cabinets and a workbench and enjoy your own space dedicated to those things that you love to do. Your garage could also become your man cave. There are many types of man caves and your garage allows you to customize your cave into the one that will make you happy. Create a place to enjoy sports with your buddies, a room to work on your motorcycle or car that you loving refer to as “your baby,” or even a place to play foosball or ping pong. There really isn’t a wrong way to do a man cave. Make your garage your custom man cave! As we mentioned above, your garage could be your very own sports center. Use garage cabinets to store everything you need to enjoy your time watching your favorite team. You could even turn your garage into the “it” place to watch the big game with your buddies. Install a custom garage floor and a big screen, grab a couple beers, and you are all set! Do you enjoy playing sports or working out? Turn your garage into your own home gym. Use cabinet space to store your workout gear, workout videos, and other equipment that you need to feel the burn. To take your gym to the next level, install a custom garage floor that is easy to clean and may help you cut down on the dust that seems to easily find its way into our homes. 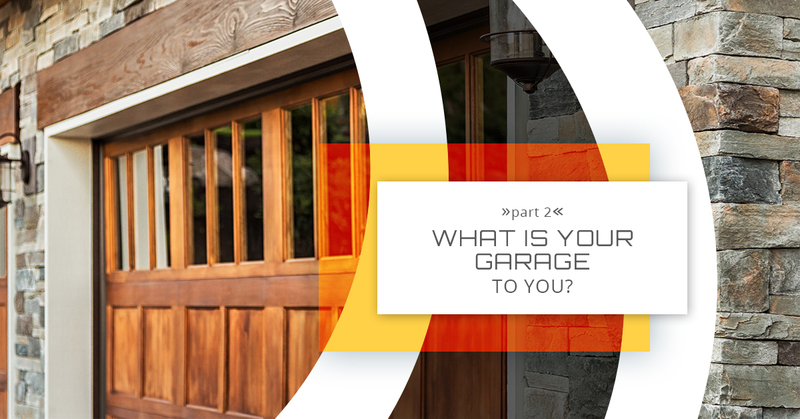 Those options that we mentioned, aren’t the only ways you can customize your garage. If you have big ideas or want to know the possibilities for your space talk to Sacramento’s custom garage experts at Advanced Garage! We have garage storage solutions and everything you need to turn your garage into everything you’ve ever wanted. Visit our website or our showroom to see our products at work and get an estimate!